This is not a post about resolutions. This is not a post about starting new projects you won’t finish. While many people use New Years as a time to focus on lifestyle changes and promises only kept for only a week, what if you used it instead as a time to hit the refresh button. Designers are forced to spend countless hours creating and being creative. Sometimes we get so laser focused into what we’re creating that our business processes and productivity methods get choked down. Customer service, delivery, and even the creation process itself can be negatively affected if we don’t make some changes. Unlike New Years resolutions, almost all of these changes are minor in scope and can be accomplished in a short span of time. No gym-joining or swearing off facebook here. Just a few simple refreshes in a couple areas of your business and you’ll notice your design machine running smoother than ever. So take a deep breath and ring in the New Year with these simple design refreshes and do something that will make a difference. And If you’re into the whole resolution thing check out these 14 anti-resolutions for designers. Is your office a mess? Do you feel unproductive when you sit down at your desk? Look around, take note of your situation and spend a few minutes refreshing your office. First, clean off the piles of papers, empty coffee cups and clutter that may have accumulated over the past year. If you don’t have time to sift through the mess, just move it into a pile out of sight. 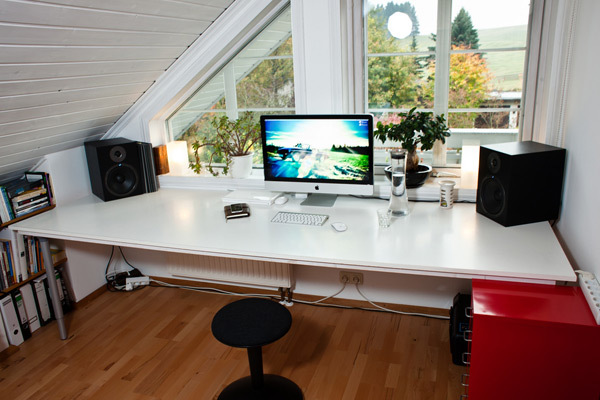 Having a clean office will improve your mood and your productivity. You can always sort through the mess later. Next, let’s do a little redecorating. Hang a new poster or bring in some different lighting. Any new Christmas gifts that can spice up the room? Simple aesthetic changes will also make a difference when it comes to your creative spirits. Finally, let’s look at your virtual office and refresh your desktop. Move your files into folders (even if it’s a general dump folder that can be sorted through later). Also, download one of these snazzy New Years desktop wallpapers to remind you of your refresh. With a clean desk and desktop let’s dig a little deeper in the digital realm and clean up your design resources. If you’re like me, you’ve accumulated a ton of files to use in your projects over the year. Icon sets, buttons, textures, etc. are great to have ready but if your design resources are a mess, it’s hard to find what you’re looking for when you need it fast. 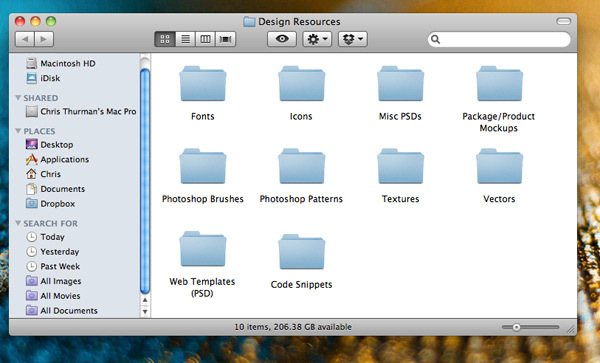 Sort through your existing resource folders and purge anything that you know you won’t use. Everything that’s left needs to go into neatly categorized (and even tagged) folders. Next, look through your desktop and downloads area and identify any design resources that don’t have a home and give them one. Let’s move our focus out of our immediate surroundings and focus on our brand management. How are you selling yourself? Is your brand being shared consistently across all your marketing channels? Take this New Year and move towards a consistent message across all mediums, online and off. Start with your social media profiles. Update your images, messages, and portfolio across Facebook, Twitter, Linkedin, and wherever else you may virtually exist. Not using one of your profiles? Delete it! An outdated message or an empty page may do more harm than good. 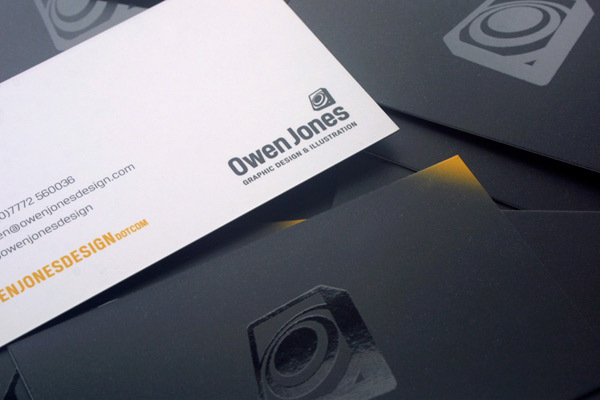 Next, check your business cards and any printed material you hand out to prospective clients? Is anything out of date? Chuck it! Maybe it’s time to design some new marketing material. Get a plan into motion to make this happen. 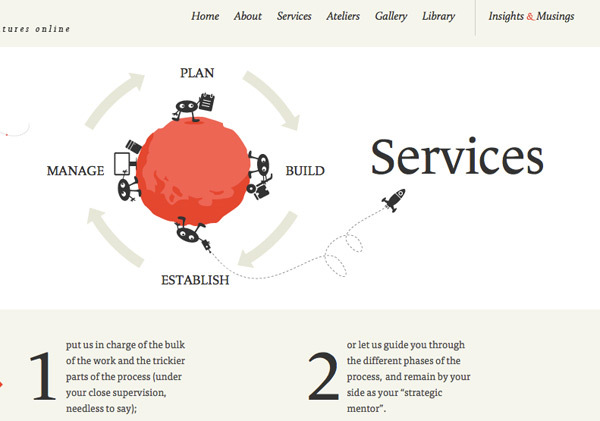 Finally, let’s refresh your website. It only takes a few minutes to update your portfolio so do it. Maybe you’ve been meaning to blog more. January’s a great time to start. Is there anything else you can do to make your brand laser focused when someone visits your homepage? Are you in a rut because of the limited number of services you’re offering clients? Why not learn something new this New Years and expand your skill-set. Maybe it’s time to dabble in mobile design or compliment your branding/identity business with social media profiles for all your new clients. New services can help attract new clients. It also provides a great way to contact your current clients and bring in repeat business and easy sales. That’s always a great way to start the year. One note about expanding your services. If you’re going to add something new, make sure it makes sense for your current business. For instance, If you primarily deal with building custom WordPress themes for clients, offering mobile website development would be much more reasonable than say, screen printing for t-shirts and banners. Stay focused on what you do best and refresh some of the extras you choose to offer. Finally, evaluate your style. Are you stuck using the same old fonts and colors? Are all your websites looking the same? Now, for many designers, a certain style is what makes them stand out in the industry. Obviously I’m not saying change what makes you unique. But if you’re in a little bit of a rut, it may be worth it to try some new techniques and tweak your style. But mix in some new fonts. Try out some texture. And whatever you do, don’t let your style go stale. 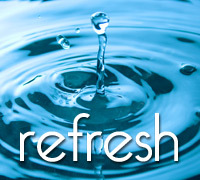 What Are You Refreshing This Year? What are you updating this New Year? What can you adjust to keep you and your design business fresh? I don’t want to know if you’re starting a diet or stopping smoking. Resolutions are only temporary and they almost always fail after a few weeks. But you can take this fresh new year and make a few small changes that will get you going and improve your business long after January 1st is gone.